This is our favourite and best sold destination. The following standard itinerary covers all aspects of a fantastic ski incentive trip. 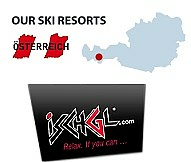 For non skiers we have a wide choice of activities. Spice up your program to your liking with our extreme activities. Arrival: Franz Joseph International Airport in Munich. Depart via luxury coach to Hotel Hochfilzer in Ellmau, Austria. Drinks are provided on the bus. Lunch: Stop over for lunch at aprox. 12:00 at the restaurant Alter Wirt in Putzenbrunn, along the way. Lunch menu: Cordon Bleu with Salad, 1 drink included. Afternoon: Arrival at Hotel Hochfilzer at aprox. 3 pm, settle into your new enviroment, after which everybody will be taken to the ski hire shop, for fitting of ski equipment at latest 17h00. Evening activities: Welcome drinks and welcome dinner at the hotel with detailed guidelines and orientation for the week ahead and a good nights rest. General program: After breakfast, collect your skis in the hotel's heated ski lock up and head for the mountains. Guiding provided for those that can ski well. Those skiers requiring ski lessons are sorted into their respective groups and head off to the ski slopes for their first day of skiing. Lunch: Lunch at leisure in one of the numerous restaurants along and on the slopes (at own cost). Aprés ski: After the day of skiing, enjoy some drinks along the slopes (at own cost) before heading back to the hotel, to enjoy the pre-dinner horse sleigh ride to a local tavern, where Gluehwein (included) will be served. Departure from the hotel at about 5pm, to return by about 6.30 pm. Evening: Dinner at about 7 pm in your private dining room at Hotel Hochfilzer in Ellmau. The night is still young, and the local pubs and bars are open until the sun early hours. Why not do some exploring? General program: The skiers will head off for the slopes and continue to improve their skiing skills with their respective instructors. 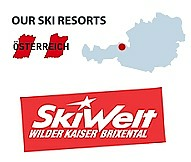 More advanced skiers may wish to ski on their own without instructors and explore the larger SkiWelt ski area. 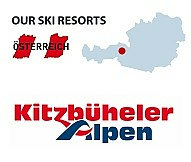 Aprés ski: Enjoy the festivity and hospitality of the Austrian Inn Keepers before going back to the hotel. Evening: Dinner in your private dining room at the hotel at about 7 pm. After dinner at about 8 pm, meet up at the “Schnapps Bar“ which get’s set up by the hotel staff, just for that evening, in front of the hotel, followed by the evening walk with fire torches to the Ellmau ski instructors demo. This display of skill and demonstratin of ski techniques by the ski instructors is one of the highlights in Ellmau. Return to the hotel at about 9 pm, or veer off to enjoy some of the local entertainment. Morning program: After breakfast the skiers will head off for the slopes for yet another fun filled action day in the snow. By now even the beginners should be doing their turns successfully and becoming more at ease on their skies. 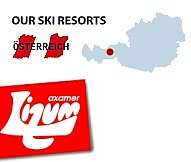 Afternoon: SKI SKI SKI all afternoon long, and jump in the Jacuzzi, pool or sauna to ease those muscles. Evening: Refresh and get ready for a tobogganing evening on the mountain. Departure from the hotel will be around 7 pm, with a short walk with your toboggan to the ski lift that will take you to the beginning of the 4.5 km lit up toboggan run. There you will be given ski pass for the evening. After a short ride up the chair lift to the top of the mountain and a small introductory run down the toboggan track to our restaurant Treichlalm, which is situated along the toboggan track, where a hearty mountain dinner awaits us at about 8 pm. Cheese spätzle with roasted onions and salad served in big pans and a hot glühwein to warm you up for the night run ahead of you in rustic mountain environment are on the menue tonight. The night lit track takes us straight back to our village and to the hotel, where we should arrive at approximately 10 pm. General Program: After an energy boosting breakfast the skiers will head off to the slopes again, feeling a lot more confident and progressing well onto the more difficult slopes. Aprés ski: After spending the day in skies, enjoy some schnapps while bum boarding. We will meet up at the local slope at about 4 pm for some fun and laughter and you get to keep your Bum Board as a souvenir. At 4:30 pm we proceed to the Aprés Ski Party at the adjacent restaurant Ellmauer Alm, where the ski instructors await you with a special entertainment program not to be missed! The show starts latest 5 pm and lasts approximately 1 hour. Head back to your hotel by 6h30 to change and get ready for a lovely dinner. Evening: Get ready for the evening meal at Hotel Hochfilzer, which will be a hearty Farmers Buffet at about 7 pm. This should give ample strength to enjoy some more pub crawling afterwards. The buffet is layed out in the dining room and you can choose directly from the buffet. General program: After breakfast, hit the slopes for some more skiing. Lunch: Lunch at leisure in one of the numerous restaurants along and on the slopes (at own cost). After lunch: After some more morning practicing, the instructors will have the afternoon events laid out in the form of fun winter games. The games will start at about 2 pm and skiers and non-skiers alike will enjoy a day of winter games on the slopes. Slalom and downhill racing for all class of skiers pit your wits against the clock and the competition. Followed by some fun races, like bum board/bobsleigh relay, snowman building competition etc. This will have you in stitches until about 4 pm. Aprés ski: Enjoy a few more drinks before heading back to the hotel. Evening: Meet up at the hotel at about 6 pm, for a short walk to the renown "Ellmau Alm" just down the road from the hotel, for a traditional dinner. Your ski instructors will also be there to pronounce the winners of the winter games followed by prize givings according to placements. This marks the end of your lessons and a big farewell to our instructors. Day program: This is the last day for the skiing die-hards. Get together with your friends, and explore the slopes on your own, or just find a cosy pub, and enjoy the day sharing your experiences of the week. Aprés ski: Last chance to take in the scenery and hospitality (and drinks), you have grown accustomed to in the last week. Evening: Farewell dinner at the hotel with live zither music followed by free time to take in the last night in Ellmau. This is a good opportunity for the company head to say a few words. A beamer and screen can be provided and set up in your private dining room at the hotel. Hearty breakfast, final packing and coach departure (check out time is generally by 10 am). Drive to Salzburg (duration 1/2 hrs ) and enjoy some time at leisure for shopping, sightseeing and lunch in Salzburg before heading off to Munich airport at about 4 pm, for the flight home. Departure - from Munich Franz Joseph International Airport.